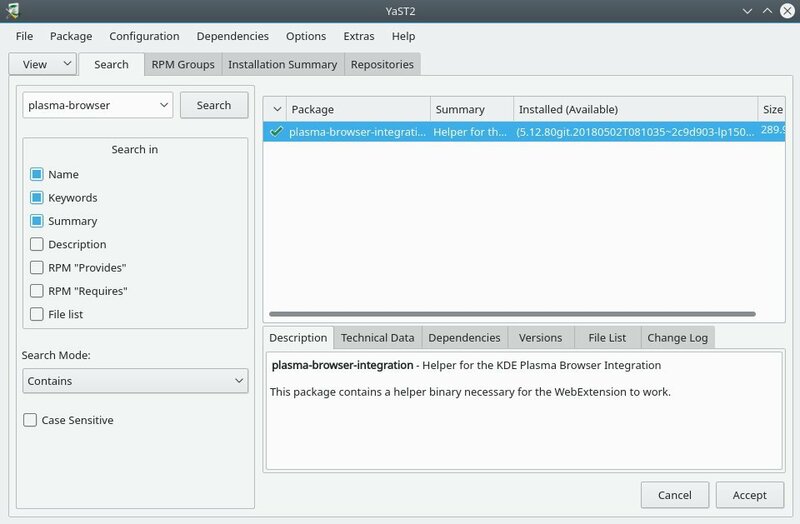 The KDE Plasma team knows that you want to take control over your computing experience. Many things work out of the box. Like using the multimedia keys on your keyboard to play and pause your music in Amarok. Or controlling the audio of individual applications in the audio volume plasmoid. The only problem: the browser didn’t play nice with the rest of the applications. This is now changing and you can try it already in openSUSE Leap 15. 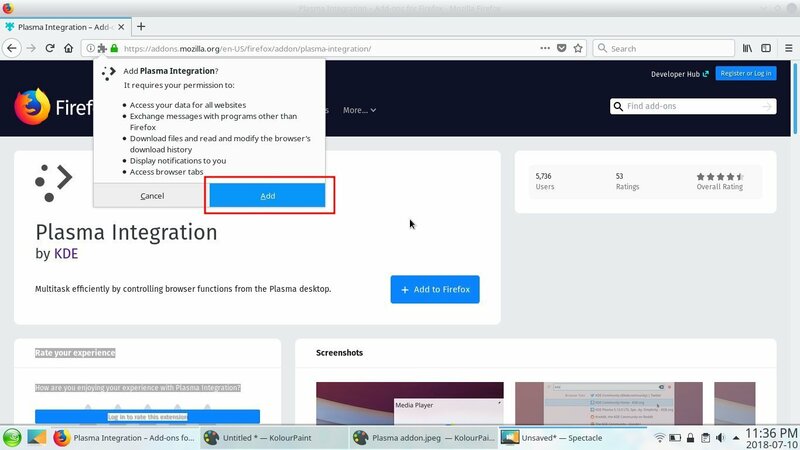 The first thing that you need to check is if you have the plasma-browser-integration rpm package installed. In fresh installs of openSUSE Leap 15, this is installed by default. If you have performed an upgrade, you might need to install this application using YaST Software Management. The second thing that you need to do is go to the Mozilla Firefox Add-ons store. Click the Add to Firefox button. And then click Add. This add-on provides you with better control over your media. 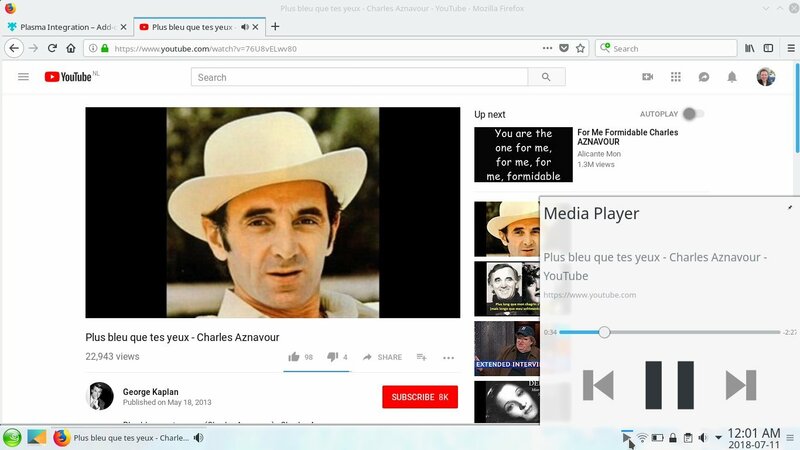 It is now possible to play and pause YouTube videos with the multimedia keys on your keyboard or with the media player plasmoid. 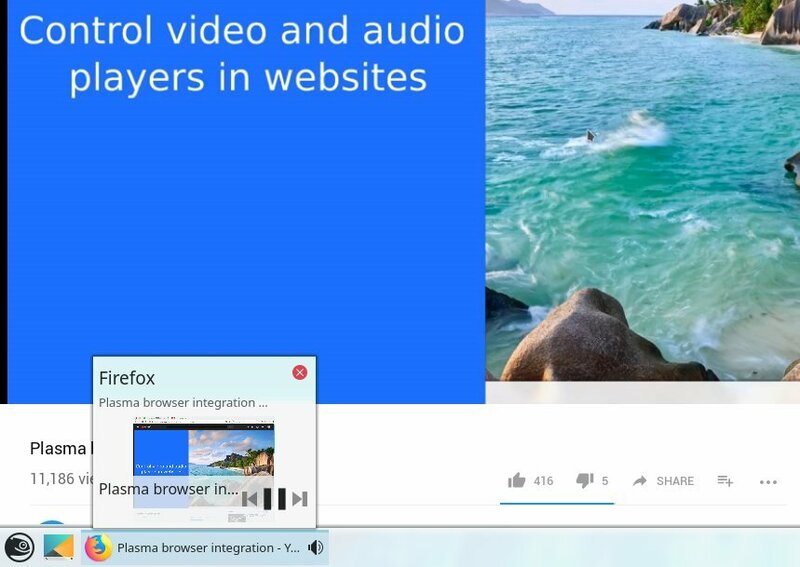 It is also possible to hover over the browser in your task manager and pause the video from there. 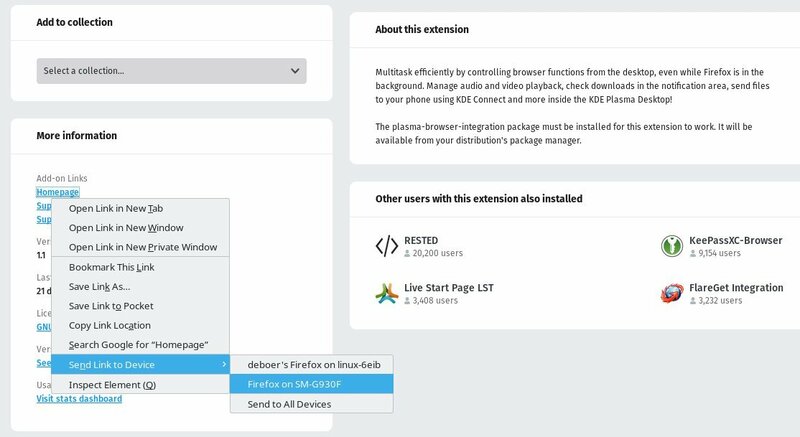 The browser integration also makes it possible to send hyperlinks to your phone, using KDE Connect. You right-click on a hyperlink and select “Send Link to Device”, then select your phone from the list of connected devices. It also integrates your downloads in your browser with the notifications plasmoid in the system tray area. You will see the progress of your download and a notification when it has completed. The last feature is that you can search your browser tabs via the Krunner (Alt + F2) window. Click Enter and you will automatically be transported to the right tab in your browser. This is an amazing feature for people who have 50+ tabs open in their browser at all times. Think of the time it will save you to go to the right tab at once! Plasma 5.13 or Plasma 5.12? 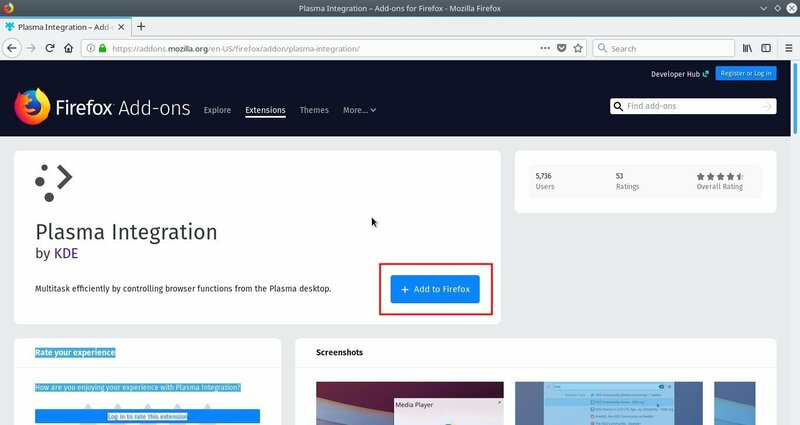 Plasma browser integration is the main feature of the Plasma 5.13 release notes. 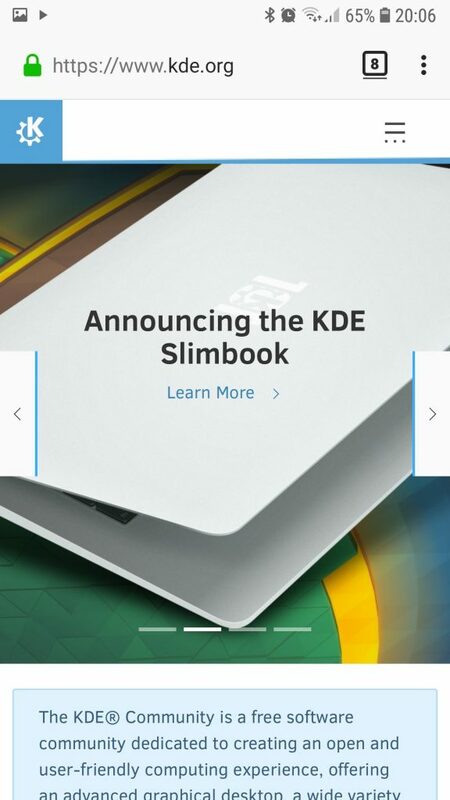 Lucky for us openSUSE Leap 15 users, openSUSE has managed to ship this feature in their Plasma 5.12 implementation. So this is something that you can enjoy right now!